People do not exist in isolation, but rather we are biological, psychological and social creatures living within an environmental context (1). Multiple factors in this context will influence the worsening and maintenance of pain and disability. But this goes against the often used argument, that acute pain must be purely biological! This is the typical debates on social media. The discussions usually set up the biomedical model of pain vs. the biopsychosocial model of pain dichotomy or debates that acute pain is only biological. This is only a testament of the outdated thinking that still lingers in the background, showing it’s ugly face, again and again, at this point, it is getting tiresome. Firstly all this shows, that (almost) nobody has read the findings of the last 30 years of pain research, assuming they would acknowledge the data if they read it. Secondly, it shows a real lack of understanding of the two models (BPS/PSB) and the differences between them. Thirdly, when people often debate against scientific research and the current consensus, with nothing but personal anecdotes, it shows a considerable lack of knowledge in the scientific method and the hierarchy of validity. To give anecdotes a higher validity than a scientific study only shows an ignorance to the fact that this type of “evidence” can potentially be hugely flawed. The enormous problem with setting up these two models against another is that the biomedical/biomechanical model of pain” (PSB) focuses on only biological factors, and it excludes psychological, environmental and social factors. But the BPS model does not exclude biomedical/biomechanical factors, because the B in the BPS is “biological” factors, thereby including biomechanical factors, as a factor in pain modulation. The only thing we have to show as proof that the PSB model is hugely outdated, in explaining PSB factors as a single causal factor of pain, is that pain is also is influenced by psychological, environmental and social factoring. There is no longer any doubt; the current consensus shows that pain is modulated and influenced by multiple factors including psychological, environmental and social factors (2, 3, 4, 5, 6, 7, 8). This also gets further supported, by the fact that there is a lot of research, that shows that people can have a multitude of biomechanical “errors/flaws” in the body and their tissue, without any pain. Furthermore, it is extremely difficult to prove that pure biological/biomechanical factors are a single factor that CAUSES pain, because we can not remove the modulation of pain, that occurs in the body/brain/subject. 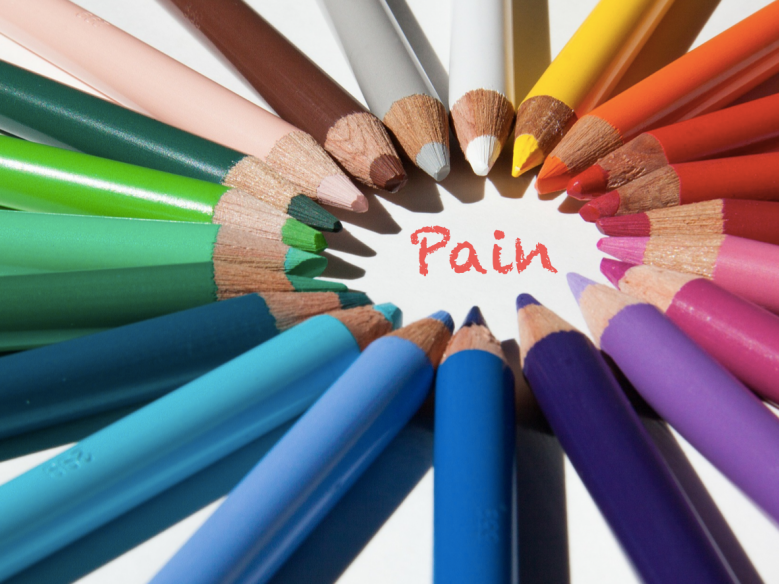 This makes excellent sense when we see the variation which is in, the experience of pain. Now, the BPS model of pain is not perfect, any model our minds can conceive of is potentially flawed and bias towards what we currently know. But it is the best explanatory model of pain, that we have thought of, with our current and potentially flawed knowledge base. One thing that the BPS model of pain does that is erroneous, is that it creates three boxes (biological, psychological and social), but this is a delusion, there are no boxes, but the lived experience of being in pain. As a teaching tool, models are useful, but we must not forget that they are teaching tools, in reality, there is not boxes, only an experience. 1. Turk DC, Fillingim RB, Ohrbach R, Patel KV. Assessment of Psychosocial and Functional Impact of Chronic Pain. J Pain. 2016 Sep;17(9 Suppl):T21-49. 2. Melzack R., Katz J. (2013), Pain. WIREs Cogn Sci, 4: 1–15. 3. Williams AC, Craig KD. Updating the definition of pain. Pain. 2016 Nov;157(11):2420-2423. 4. Tracy L. Psychosocial factors and their influence on the experience of pain. Pain Rep. 2017 Jul; 2(4): e602. Published online 2017 Jul 11. 5. Gatchel RJ, Okifuji A. Evidence-based scientific data documenting the treatment and cost-effectiveness of comprehensive pain programs for chronic nonmalignant pain. J Pain. 2006 Nov;7(11):779-93. 6. Pergolizzi J, Ahlbeck K, Aldington D, Alon E, Coluzzi F, Dahan A, Huygen F, Kocot-Kępska M, Mangas AC, Mavrocordatos P, Morlion B, Müller-Schwefe G, Nicolaou A, Pérez Hernández C, Sichère P, Schäfer M, Varrassi G. The development of chronic pain: physiological CHANGE necessitates a multidisciplinary approach to treatment. Curr Med Res Opin. 2013 Sep;29(9):1127-35. Epub 2013 Jul 3. 7. Chester R, Jerosch-Herold C, Lewis J, Shepstone L. Psychological factors are associated with the outcome of physiotherapy for people with shoulder pain: a multicentre longitudinal cohort study. Br J Sports Med. 2016 Jul 21. [Epub ahead of print]. 8. Eccleston C. Role of psychology in pain management. Br J Anaesth. 2001 Jul;87(1):144-52.